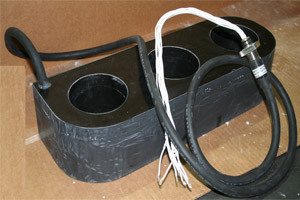 3-Phase Current Sense Transformers - Agile Magnetics, Inc. Setting a high standard for precision current measurement, 3-Phase Current Sense Transformers offer excellent accuracy and reliability. At Agile Magnetics, we provide some of the highest-quality 3-Phase Current Sense Transformers available in the industry. The purpose of Current Sense Transformers is to detect current and then generate a proportional signal. Selecting the proper unit depends on the application’s specific input specifications, including size, function, frequency, and the range of current. For maximum safety and accuracy, these factors must closely match the system’s specifications. Additional factors to consider in order to maximize the performance of these transformers include primary/secondary turns ratios, secondary inductance, excitation current, and output voltage. The most appropriate current sense transformer will prevent instability and output signal distortion while minimizing insertion loss. Transformers are a vital part of our customers’ operations — failure can lead to costly downtime and safety concerns. Our experts are available to help customers select the transformer that best matches their specifications with the utmost precision, providing efficiency that usually increases cost savings. We are ISO 9001 compliant, and our products can be manufactured to UL, CUL, VDE and CE, with UL and CUL markings when required. Our 40,000 square foot manufacturing facility is equipped to handle projects of virtually any size or scope — all with fast turnarounds, competitive prices, and uncompromising quality. For further information or to request a quote, contact us.